While its U.S. operations are facing some challenges, BYD's electric bus has been racking up test miles on Canadian roads. Canadian transit agencies have completed the first phase of a 10-month trial of a 40-foot BYD electric bus on roads between Gatineau, Québec, and Ottawa Ontario, according to Green Car Congress (via ChargedEVs). So far, the bus has lived up to the Chinese electric carmaker's claims. In the test--conducted by the Société de transport de l’Outaouais (STO) and AVT, a consortium of Québec's nine transit agencies--the bus achieved 155 miles of range, performing as advertised. The range is chalked up to the size of the iron-phosphate battery pack in the bus, which has an energy storage capacity of 324-kilowatt-hours--or 15 times the size of the pack in a Nissan Leaf. 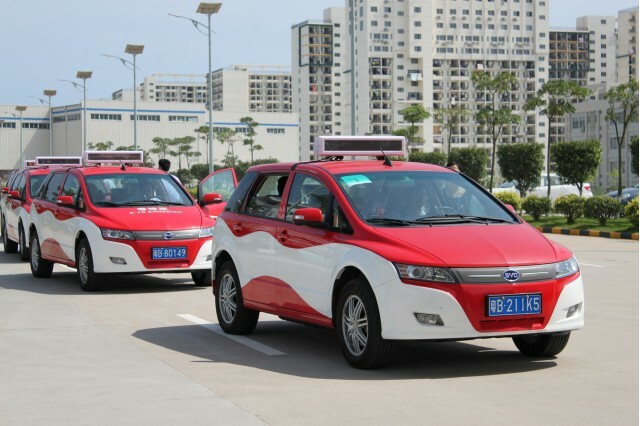 BYD says a driver who is particularly familiar with electric vehicles could exceed the rated 155-mile range. While the bus used only electric power for propulsion during the test, an integrated diesel heater was used to keep the cabin warm in the frigid Canadian winter weather. BYD isn't the only company marketing an electric bus to U.S. cities. Green Automotive Company plans to launch its e-Patriot electric shuttle bus at the International LCT Show in Las Vegas in February. Like the BYD bus, the e-Patriot will be built in California--in this case by Green Automotive Company subsidiary Newport Coachworks. The smaller shuttle bus won't carry as many passengers as the 40-foot BYD, but its creator claims a 100-mile range, and a top speed of 60 mph. BYD has already built more than 1,000 of its electric buses for Chinese cities, but getting them on the road in North America has proven difficult. 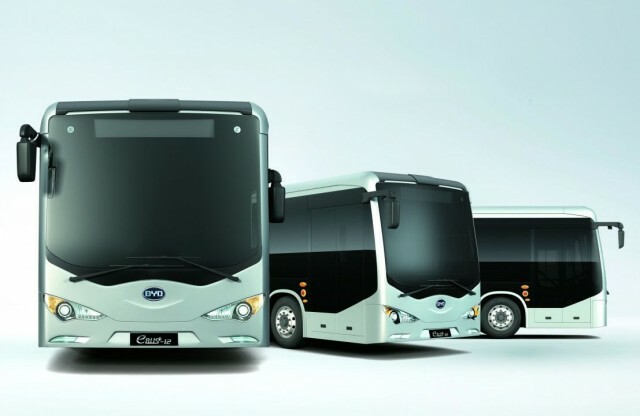 In 2013, BYD won a contract to build 15 electric buses of the city of Long Beach, California. Shortly afterward, it signed a contract with Los Angeles, which agreed to test five buses and buy 20 more if it found them satisfactory. However, the company was fined last fall over low wages at its California plant. The dispute was recently settled, Reuters reports. These U.S. operations have experienced intense media scrutiny because fabled financier Warren Buffet purchased almost 10 percent of BYD in 2008. BYD has been focusing on bus sales after a handful of unsuccessful attempts to sell its e6 electric crossover in the U.S.
After displaying it at the 2009 and 2010 Detroit Auto Shows, BYD decided not to sell the e6 to U.S. consumers (although it may still make it here as a fleet vehicles) in part because it was having enough trouble selling it to customers in its home country.